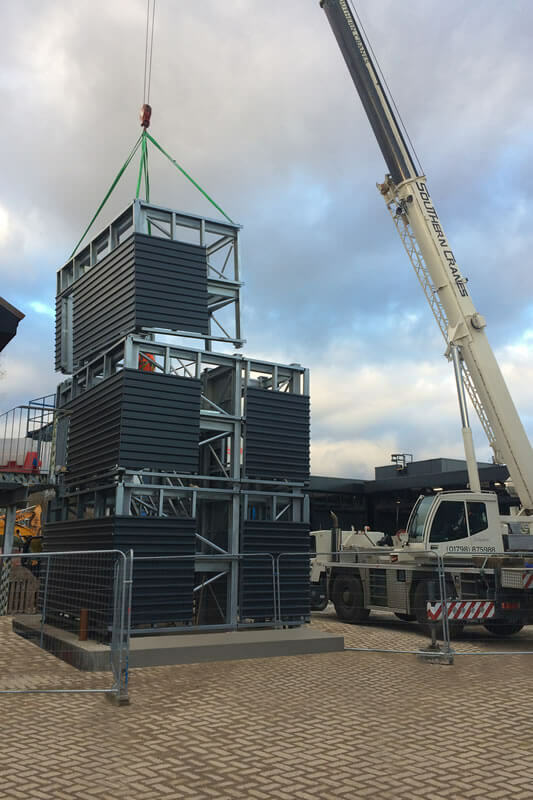 Crofton Engineering, the specialist fabricator and installer of fire training buildings has designed and built a new High Rise Training Building for Hampshire Fire and Rescue Service. The new training facility in Basingstoke opened in February 2018. The new training building at Basingstoke fire Station was commissioned as part of the project to rebuild Basingstoke Fire Station which was recently completed. The whole project is designed to provide a training complex that is fit for purpose for the next 50 years. 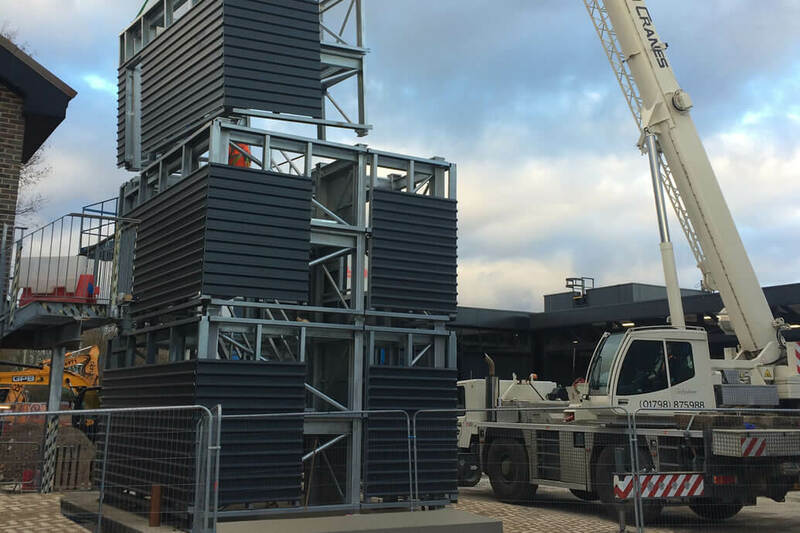 Hampshire Fire and Rescue Service wanted to extend and upgrade its existing Breathing Apparatus (BA) training chamber to include repositioning of a new tower connected to the chamber. Crofton designed and prefabricated the modular building at its Linton, Cambridge headquarters before shipping to Basingstoke for fast-track on-site construction. Each of the building’s six storeys was manufactured in two halves. The building features a dry riser, a wide variety of window openings, a central stair well, landings and half-landings, and a lift shaft. The High Rise Training Building was also been designed with link-bridges to the existing BA training chamber. As part of this whole training complex, the Hampshire FRS will also have a RTC ‘pad’ to enable realistic training for vehicular rescues. The tower, BA complex and RTC area will be used by the station based personnel, as well as the wider North Hampshire stations and firefighters as training facility to enable competency based training and assessments.